Readers have asked why there have been no recent articles posted on TRAVEL AND PHOTO TODAY. If you are one of those who have been wondering – well the answer is simple. I’m On The Road. Out there discovering America on the highways and bye ways. Well – mostly the bye ways. This is a slow travel trip and I’m trying to avoid the Interstate Highways. Initially I left the Kansas City area and did my best to follow the original Route 66 to the west. While that is not as easy as it sounds, I did a fairly good job of it and eventually arrived at The End Of The Trail. 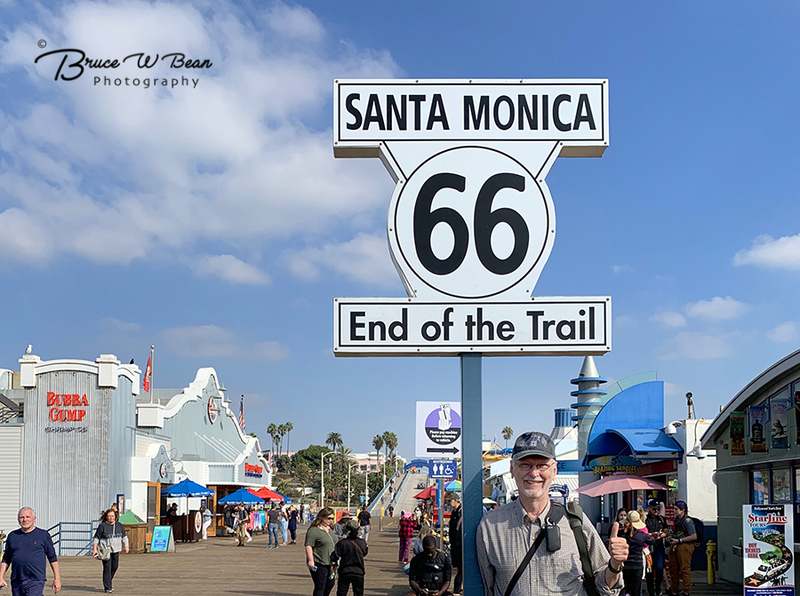 The western end of Route 66 is in Santa Monica, California. The photo at the top of this article shows your favorite travel writer (?) standing beneath the famous End of the Trail sign which is located on Santa Monica Pier. I’m not planning to write many actual travel articles during this journey. There may be one or two – such as this one today. But for the most part I am enjoying the journey and gather lots of great info and photos for articles which will be (hopefully) written in the future. Currently I am in Parker, Arizona. 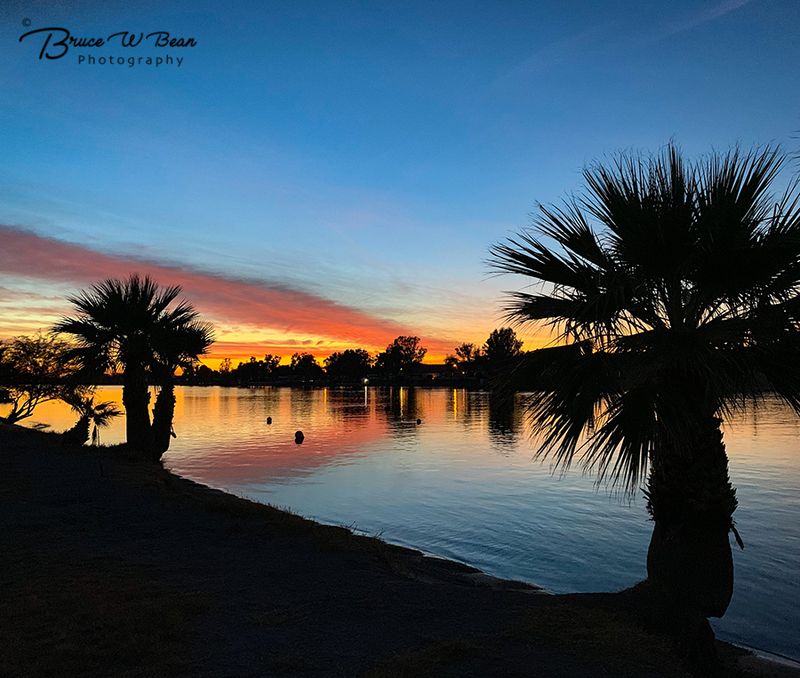 It’s a nice town smack dab on the Colorado River just below the Parker Dam which, as you may know, creates Lake Havasu. I’m driving and camping in my Road Trek RV on this trip and my current campsite is right on the river. The above image is the view from my campsite at sunset. Not bad eh? By the way, that’s California on the other side of the river. I have no set itinerary or agenda for this journey. And there is no specific time frame. In general I think I’ll stay to the warmer areas of the country. Other than that – who knows. I’m exploring and wandering. If you want to keep up with my journey, I am posting frequent photos and info on my Facebook Page. Feel free to check it out and follow my wanderings. Until next time – Enjoy The Adventure!